The DTI 1931 is one of a family of low-cost solutions to the implementation of field devices that require NTCIP conformant communication. The small size and powerful performance of the DTI 1931 controller make it the perfect engine to control color signs, traffic count systems, weather stations, cameras or any custom application where NTCIP communication is required. The DTI 1931 brings a new level of performance to the Intelligent Devices family of NTCIP field device controllers. 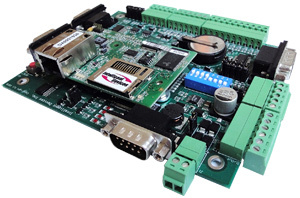 The controller maintains all the features and small size of the 1321 controller, with the addition of a more powerful processor, more memory, and additional Flash memory options. Pin compatible with the IDI 1321 controller. Digital I/O 8 inputs, 4 outputs – 100 mA max. NTCIP-compliant firmware is programmed in a real-time, multi-tasking operating system. 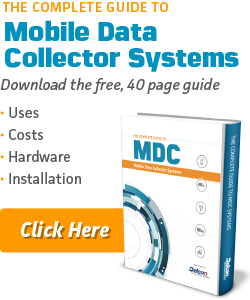 Custom device drivers are available for multiple field devices, including signs, cameras, ramp meter systems, weather monitoring systems, traffic sensors, parking monitoring systems and others.